No. 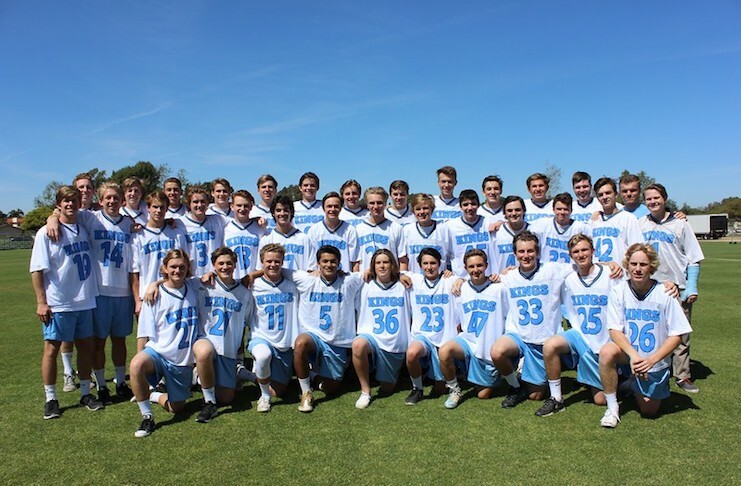 1 Corona Del Mar boys lacrosse remained undefeated against Orange County teams by topping No. 6 Tesoro 10-3 on Wednesday. Eric Fries scored five goals to lead the Sea Kings. The Sea Kings have not lost to an OC team since May 9, 2015 when St. Margaret’s defeated them in the OC Championship game. The first quarter of Wednesday’s game ended 2-1 in favor of CdM. Eric Fries (5 goals) scored his first goal of the game and Connel Maclean (1g) added one to give CDM the jump. Ryan Harrington (2g) responded late for Tesoro off an assist from Jason Moreta (1 assist) to end the quarter with a one-goal differential. Tesoro’s Carson Spooner (1g) tied the game up in the second quarter with an unassisted goal, giving Tesoro the momentum they wanted. But the CdM defense quickly shut down the momentum and the Sea Kings rattled off four unanswered goals to end the half 6-2 in favor of CdM. Fries, Sachin Gockhale (2g, 1a), Will Favreau (1g, 2a), and Ryan Meckler (1g) tallied for CdM in Q2. Tesoro’s goalie Hunter Souza had a standout game, stopping countless shots by the tenacious Sea Kings offense to keep the game within reach. Souza along with the disciplined Tesoro defense held the Sea Kings to a lone goal in the third quarter. Harrington answered with his second of the game off a feed from Luke Molinari (1a) to end the quarter 7-3. Regardless of how well Souza and his defense played, with the Sea Kings controlling the faceoffs the entire game, it was only a matter of time before the gap widened. The fourth quarter brought three more goals for the Sea Kings to end the game 10-3 over the Titans. Next up. CdM (14-2) closes out the regular season putting their No. 1 ranking on the line against No. 2 San Clemente (11-5) on Saturday. Tesoro (12-3) ends the season as the Sea View League champs and waits to hear who its opponent will be in the first round of the playoffs. Tesoro boys lacrosse and CdM boys lacrosse contributed to this article.